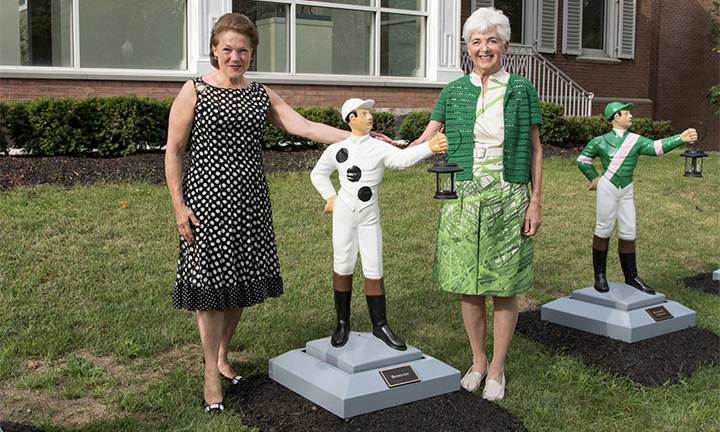 The National Museum of Racing held a fundraiser where thirty-seven, 165-pound lawn jockeys are lined up in a long row, each one bearing respective stable’s silks colors by donors. 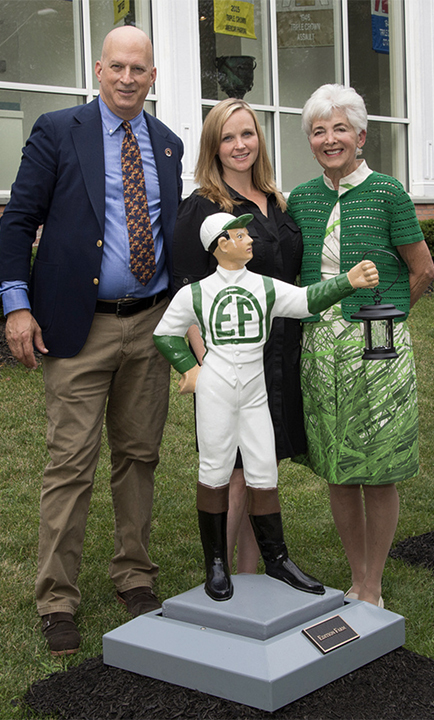 Edition Farm, one of many owners in support throughout the U.S., will have their silks displayed for over five years to sponsor one of the figures, benefitting the museum’s endowment fund. 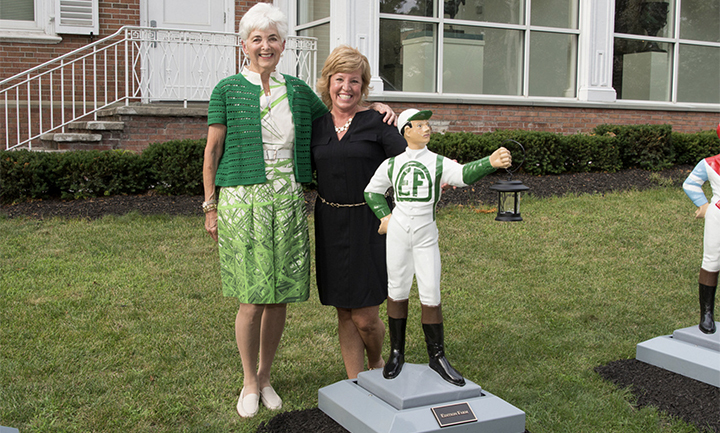 Edition Farm unveiled their Lawn Jockey at the National Museum of Racing in Saratoga, NY on July 20th, along with other Thoroughbred farm supporters. Owner, Vivien Malloy attended the event with son, Mark Malloy, granddaughter, Caitlin Malloy Brennan and friend Kathy Landman, as well as Theresa Behrendt, who helped initiate the fundraiser.